Discover our fun 9-holes Putt-Putt course ! Pro1Golf Entertainment Center LLEH revolutionises mini-golf and offers you an incredible hole adventure course, that simulates a real golf experience. Challenge your friends and family on our unique and entertaining course ! For adults as well as for the youngest, the course benefits from an artificial turf of irreproachable quality as well as installations with theme not to be missed ! Do you prefer long game ? 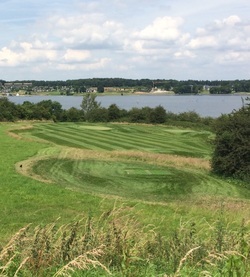 ​Discover our Pitch&Putt course ! 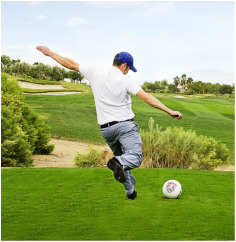 Discover this new sport, a bold mix of football and golf ! An unprecedented gaming experience !